… to reflect and see what you want to improve from your life, your health, your friends, family, work, career and so much more. You write down lists of how you will lose those 15 pounds you have wanted to lose all of this year, but didn’t achieve, even though you have it written down for this year’s resolution. But this year…this is definitely the year, you can feel it. Something new. A new start. A new beginning. But is it really? The only new thing is a new number of year on the calendar. So why do we wait for a new year to act upon something? And how much do you keep it for an entire year, or all through the years? Reflecting monthly or every few months would make your resolution that much better. Be honest. How many times through the year do you go through your list and see which ones you are achieving and which ones you are lagging on? And if you are really waiting on a new year to try and be better in the things you want to achieve or be, then how are you defining your resolutions? How you think and write them also makes a huge difference. It is very normal to wait for new dates to start something; it’s basically human nature. You wait for a Monday to cut down your carbs, start excercising, read for 15 minutes. But if it’s Thursday today, why not start 4 days before instead of waiting for a new week. You tell yourself you are going to start that online course you have been wanting to do and it’s the 3rd week of the month, but you wait for the 1st day and the 1st week of the next month? Why? You probably see, the past few days after Christams and until the New Year, people do less, and wait anxiously for the New Year to start achieving their resolutions and targets, only to be lost a few weeks or months later. Social Media Influencers ask their followers, what are your resolutions, what do you want to change for next year? Of course, it’s all in good spirits, and there is nothing bad in setting new goals for the new year. But if you are going to set them, maybe try and go about it a little bit different this year. Instead of saying “I want to lose 15 pounds”, say, “I want to reduce the daily intake of (for example) chocolate, and aim to do something healthy 5x a week.” This could be, doing a home workout for 7 minutes one day, an hour walk the next day, going to the gym the next, playing and running with your dog the next, and so on. The aim is to build that habit, which normally becomes one, after 21 days of doing it. It doesn’t mean doing the same things every day, but it means doing things to achieve that goal every day. After 3 weeks, you will want to do more and keep it going. If you go extreme and say ” I am going to the gym every day for 2 hours and I am not eating chocolate at all”, then you are kind of being a little bit unrealistic, cause life happens, and with it, all its deadlines, work, sudden pressures, life surprises; whether good or bad and so much more. You might go to the gym 2hrs per day for the first few days or even weeks if you are so strong and determined, but then there is that weekend away you want to go with your friend, and then you get sick for 4 days, then there is that big project you have been working on and you won’t go to the gym at all. Start small and don’t make unrealistic goals. If you want to start reading more,or you have completly stopped reading, instead of saying “I need to read for 30 minutes everyday”, say, “I want to finish 1 book a month, or read for an hour a week, and you will have time to achieve it with no problems. If you really want to spend more time with friends, and everyone is so busy with their life, talk it out and plan for once a month to meet up. Set a date so no one plans anything on that day and when you meet, set a date for the next month. If you live too far away make it every 2 or 3 months, or even plan to have a group conversation online with video and wine once a month. The possibilities nowadays, thanks to technology, are endless. If you would like to get that promotion, or even change your work and take a new route, set the big picture as your end goal, but you need to be writing and developing plans on how to execute those things and slowly progress or make sure you ace that interview. I wish you all the luck in 2019, ad be wise about your decisions and resolutions. I thank you all for having followed me for the 1st year of my blog and vlog pages, and hope to bring you even better contect in the next year!! 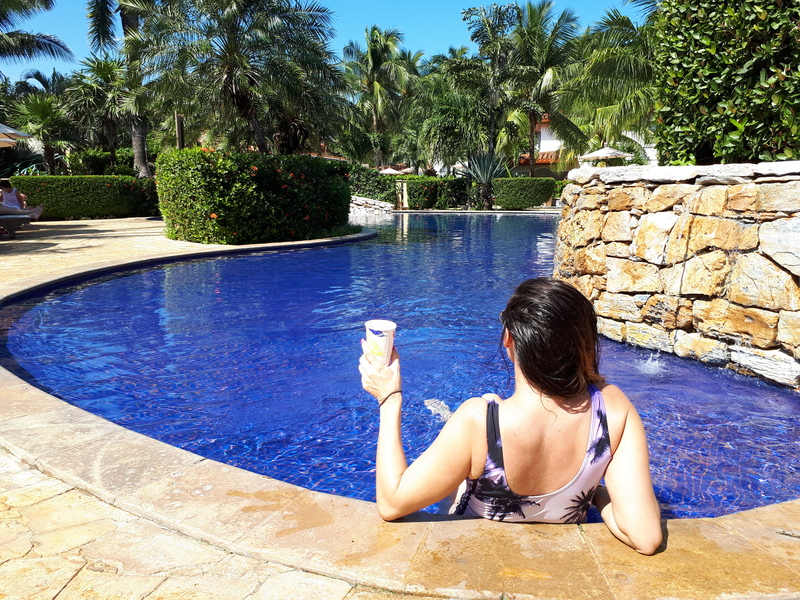 To your health and happiness – 2019- Cheers! Whenever I come to Malta between my work assignements, I always love it. Firstly, because it’s my home country and it’s an awesome place to be in, and secondly, because there are always a lot of new restaurants, hangouts, bars and cafes that open, that I like to go and checkout. I like to taste the variety of foods, new dishes, lovely cool decor, trends and their service and friendliness. Avotaco hit all of these. I had never been to their Food truck before, so I didn’t know exactly what to expect. Situated in a great location, I quickly found parking and headed over inside to order. I love salads and opted for that, with a side of guac and chips. Mmmmm yummy! And yummy it was. The food is so fresh, it was as if they had just picked up the veg that very moment. My friend had the burrito and it was spectacular and extremely filling. I went at a relatively calm time, but because you check the menu and go to order at the counter, its extremely easy and fast. And no cash. Love it. No wasting time finding your cash, waiting for the change… who has time for that nowadays. Only Cards are accepted at Avotaco and it’s genius. More and more restaurants should follow today’s trend, were everything is on card. The management and the staff were all so welcoming and friendly and genuinely happy that we were eating and enjoying our time there. Even the chef came out to play, and the sombrero came out! yayayaayay!! Whether you go for lunch and order for your colleagues, just yourself, eat there for dinner or order so that you don’t need to cook, Avotaco sure comes in handy and delicious. If you wanna eat where there are positive vibes, smiles all around, and everyone gulping down their beautiful dish, then Avotaco is the place to be. Well done guys on your initiative to take it to the next level and I will surely visit again when I’m back on the rock! Have an avotalicious day peeps! How many times have you read or watched a video, of women pleading other women to believe, empower and support other women in their work and also socially? I have.. and a lot..
Women have a tendency to be a little bit more jealous than men, and some women might even prefer to have male employees, colleagues and bosses. We always seem to find something bad about our women managers and colleagues. She’s too hard, she too leniant, she’s too emotional, too strict, she doesn’t know what she’s doing, she has preferences, she’s not as good as the other male manager….and so and so on.. It’s embarrasing sometimes. I do need to mention that it is not everyone that does that, and with so many social media accounts empowering women and letting them know they are a force of nature, and able to do and accomplish anything they set their minds to, it’s not all negative. So I want to focus this blog on the positive side of the spectrum. Be happy that you have women employees, women managers, women ambassadors and influencers. If you want to be one, work hard and you’ll reach your target. You will not reach anything if you keep on focusing yourself on being negative on certain women that have worked hard to be doing what they are doing. You’ll just be losing time. The time and effort spent on doing that, could be time spent focusing and working on yourself. Everyone has those moments were they see someone making it big and bigger, getting promoted, getting a lot of followers and so on. We all stop and see what do they have or do that makes them look more successfull…and it’s ok to do that. But see what they are doing that might be better than what you are doing, see what they had to do, how hard they had to study, work and do extra things to achieve that promotion, and apply it to you. Don’t make the mistake of doing exactly what they did, because everyone is an individual and everyone is very different. If you focus on doing everything the same as one person, then there is a very high percentage that you will not be as succesful. I am not saying anything new here, and I am definitely not an influencer, however, I do think that sometimes, even though we know something, we need to hear it again and re-convince ourselves, that if we support other people, and be happy with other’s success, we will find more time to focus on making ourselves better, and even helping other women in the long run! Take care everyone and remember to let others shine so that you can shine on your own. While in Barcelona for a few days on work, I was invited to go on a wine tasting tour at La Torres Winery. What do you think I responded, when asked if I wanted to go or not? Well of course I said that I would definitely go! Boy was it the most awesome time at their huge and impressive vineyards, vinification center, cellars and wine tasting place! The train takes you to a few of their vineyards and the wine guide explains in a lot of detail, certain processes, climate, temperature, topography and so much more. Their vineyards have been spanning through a lot of different areas in Spain, which has given them the amazing amount of different flavors and wine textures. Established in 1870 by Jaime Torres, the 5th generation of the Torres family now takes great care of the huge and successful wine company that they have created. Torres wines are extremely popular around Europe, and wether you are a wine connoiseur or someone that enjoys wine while eating at a restaurant, you have for sure come across wines from Torres. That was one of the few reasons I was excited to visit them, as Torres wines were a few of my first wines that I had grabbed hold of at home in Malta. The cellars and the vinification systems were stupendous, and the undergound cellar was spectacular. I wanted to set a desk and a bed right there, so that I could work and sleep in front of that gorgeous view. However, it was time for our wine tasting, and the venue and the view did not disappoint again. We started with the whites. There were 3 whites, but the Las Mulas stood out for me with its rich taste. It could fo very well with most fish dishes amd lean white meat. I loved it, just as I loved their rose wine. It was so fresh and had a great berry taste. Next, was 4 red wines. Yesss!! Red is my favorite, and I could say that they were all my favorite. There uniques taste were all do satisfying to the palatte. The Rioja wines were amazing and Celeste was a team favorite. It was time to leave this beautiful place, but I wouldn’t think twice to going again and experience it all over again. On a very quick visit to Malta, 2 days to be precise, I was invited to go to Adelphi restaurant in Rabat, Malta. I had already heard great things about it, so I was excited to go. Situated in a large passageway in the heart of Rabat’s centre, it is a perfect location for Rabat residents, Maltese coming from outside of Rabat, and tourists alike, to go and enjoy some mouthwatering dishes. Upon entering, I got a sense of comfort, friendliness and very family oriented, which suited me well as I was there with my immediate family, ready to enjoy what Adelphi had to offer. After ordering a bottle of wine and talking to some of the waitresses, I was told that it was family run; from the owners of the restaurants, to the chefs and the waiters. That’s why I got such a homely feeling within seconds of being there! Talking to KellyMarie, a joint owner of Adelphi along with her husband, she explained how everyone’s involvement is so important and so special to the huge success of Adelphi. Everyone working with detail and with a smile on their face, and I even got to go and meet 2 of the family chefs. Adelphi offers several dishes from pasta, meat, pizza, fish, kids menu and so much more. I settled for the pizza since I hadn’t had pizza for quite a while, but I could also smell the meat and fish dishes on my table. With a huge apetite, I started eating my pizza and continuing to slowly sip on my red wine, while enjoying the company of my family, the ambiance and the friendliness of our waitress. Upon more talking, I was informed that years ago (not years of my existence), it uded to be a cinema. Wow. This must be a treat for those that used to go there to watch a movie back in the day. Chatting away with our waitress, we were also informed that there will also be a boutique hotel, right above the restaurant. It forms part of the Quaint hotels in Gozo and will be the first one in Malta. As soon as this opens later this year, Adelphi will also be serving Breakfast and Lunch too. What a great evening it was! I will definitely go back while on the island again. For all those tourists that go to Rabat and Mdina, be sure to go to Adelphi for some serious food and that good old Maltese style, local service with a smile! Bon Apetit! There are hundreds of different pizzas and thousands of different wines. Wine is the best with pizza. Better than beer or liquor. What wine is best for your pizza? The majority of the different styles of pizza go much better with red wine, and the type of red wine that is quite strong, full bodied and a strong taste. The only pizzas that also go great with white wine, rose or a less strong red wine, is the White pizza (meaning, more cheese and no red sauce), Hawain and Margarita. Pizzas with red sauce are higher in acidity, so the wine becomes more important with having an also strong taste, and have a full body like a Syrah and a Grenache. The classic Pepperoni goes well with Sangiovese or Cabernet Franc. These types of very strong wines are important since the fat from the pepperoni has a very strong flavor and it spreads its flavor on the cheese. These wines are great to counterbalance its strong flavor. If you opt for the simple Margarita, then you need a dry Rose. The ingredients are light, so a heavy and full body wine will not go too well with your Margarita. White Pizza is on the rise, and has become the first choice instead of the traditional (red sauce) pizza. White pizza is actually my favorite. Chardonnay and Pinot Noir love cream, and go extremely well with white Pizza. It depends if you prefer white or red wine. I always prefer the red, so Pinot does it for me. Whichever Pizza you prefer, just remember that there is a wine that will enhance your experience. Many pizzerias, in the Mediterranean especially, also have their own House wine. It’s normally very good, but don’t hesitate to ask them what type of wine it is, so that you have an excellent Pizza and wine experience! So much food and drink- what to do?! It’s that time of the year were your wine should be served HOT! Wine is celebrated everywhere and all the time for many different occasions, celebrations and events. There is never a moment were you go to any of those events and wine is not there. Wine is my drink of choice 99% of the time, and since it is only a few days before Christmas, and many events and family and friends parties are already underway, I wanted to share with you a personal favorite for this time of the year, which is Mulled Wine. Mulled wine is more than simply wine that has been heated. The ingredients that make up the Mulled Wine can vary between 1 recipe to the other, but they all have a few of the same ingredients. I love to make the one by Jamie Oliver. I love his food and his take on food and drink. This is what I put into my Mulled wine that me and many of my family and friends love to drink. Start with the fruit first – the lemon, lime, clementines or oranges. Then continue with the cloves, cinnamon, star anise and bay leaves. After you simmer and they are already getting quite hot, and the smell is already amazing, pour the wines and the sugar. Keep on tasting it while stirring and blending everything. Don’t forget the nutmeg and grate it while you are stirring. Make sure everything is well blended and that it is hot enough. Get a few mugs and cozy up with your freshly made Mulled wine, sip it slow and drink in moderation! Enjoy! Cheers and Merry Christmas and Happy Holidays! On a brief visit to Roatan Honduras, a port of call that the ship I was working on was visiting, I decided to visit one of the resorts. On our way there, which was early in the morning, the guide on the bus was pointing out the many floras and faunas they have. All their exotic fruits he was mentioning, and the cashew wine that they produce. mmmm. Wait. What? Cashew Wine? What is this I said to myself? But he wasn’t elobarating so much, so I wanted to ask. What was this Cashew Wine from Honduras? The Cashew nut tree is very prominent in Honduras, especially in the South. 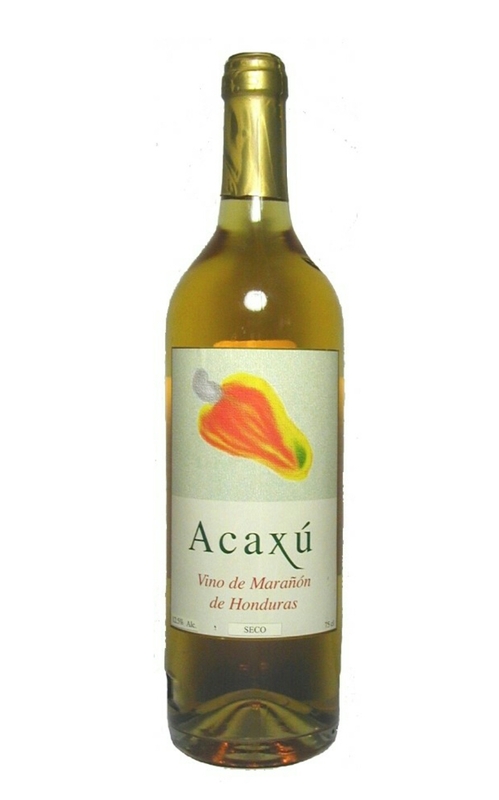 This wine is fermented from the juice of fresh Cashew fruits, grown in the village of Namasigüe in southern Honduras. It has a rich aroma and embodies the character of its exotic parent tropical fruit. He said that the most prominent is the Acaxú wines, and they are on the dry side, drier than the ones produced in Goa, India and Belize. Oh, so other places make cashew wine too! And then he said that they have been making it for a number of years too! Wow! How come I didn’t know about this!? 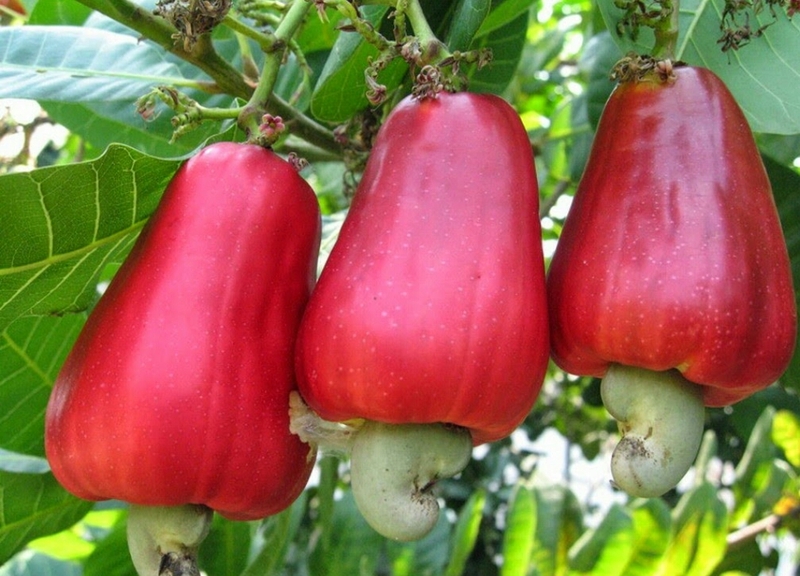 The fruit of the cashew tree is an accessory fruit and is called the cashew flower, with a strong sweet taste and smell. In Honduras they have a dry cashew wine, however in Belize for example, it is considered a sweet wine. Either way, it is better served cold. Many also say that it is like a Port wine as it is quite strong in taste. The wine is made from the cashew apple pulp, which is very fruity and juicy, said to have notes of mango, raw green pepper and a little hint of grapefruit. Cahew wine is made through the distilling of the Cashew Apple juice. It was normally crushed with feet for maximum juice extraction, however, there are also new machines that they have now been using, due to the high demand. Fermentation lasts for 3 days, and normally takes place in copper pots. It is not as common and popular in the US and Europe and it gets quite expensive to get the licence to distribute, however, if you have a chance to visit Honduras or Belize, be sure to try cashew wine. Taste new flavors of wine, and compare to grape wine. 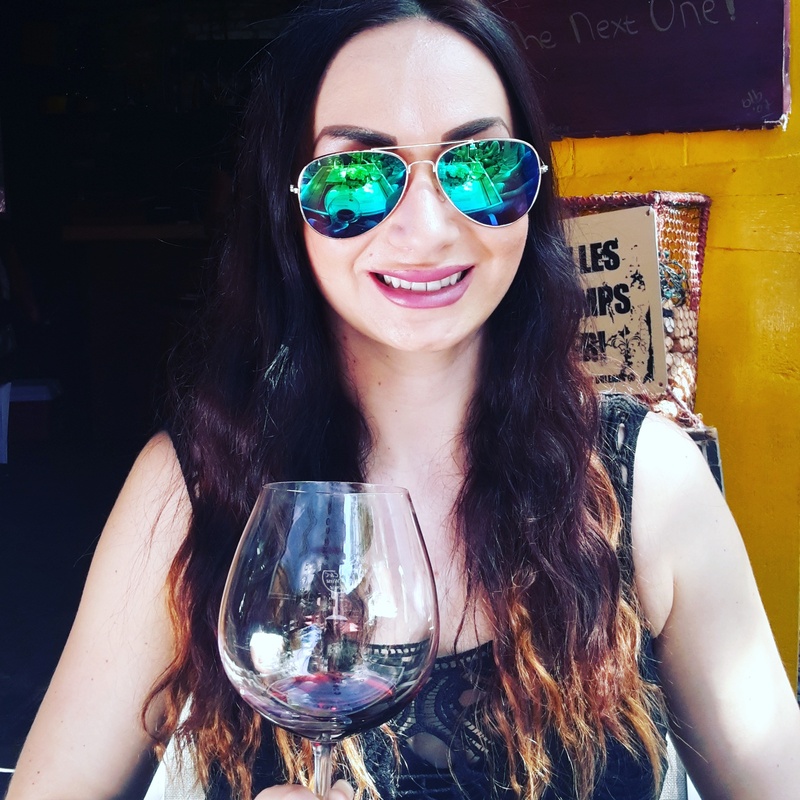 In a time were more and more people are aware of their surroundings, nature, and opting to be vegan, gluten free and so much more, wine like cashew wine offers a great alternative and an even greater taste for those who choose it. Cashew wine. Who knew?! I was very grateful to have learned something new and interesting, in a place I had never been to. Next time you are eating a handful of cashews, remember where they come from, and that their cashew flower fruit is now a cashew wine! Cheers to you! New Zealand is fairly new to Wine Production, however, its popularity is getting bigger by the day. There are four main wine-making regions in the country and they are mostly located on the Eastern Coastlines of the North and South islands. By time, they now have distinguished sub-regions as well, to name a few; Nelson, Aukland, Waikato, Waitaki Valley, Gisborne and more. The temperate climates of New Zealand allow a wide variety of wine to be produced from Chardonnay, Pinot Gris, Syrah, Pino Noir and several amazing Blends. The largest vineyards are no longer than 80 miles, with long sunshine hours and cool nights from the sea breeze. You hear a lot of people ask for New Zealand wines when it comes to White, and their Syrah and Blends are some of the best ones that I have tasted. Production, because of demand, has increased, and thanks to worldwide shipping and buying, you are able to find several New Zealand wines in stores, wines shops and restaurants. The sustainable Winegrowing program in New Zealand is there to ensure constant improvement and adherance to certain guidelines issued by the International Organization of Vine and Wine (OIV). It ensures that it meets its measures and helping its businesses thrive. 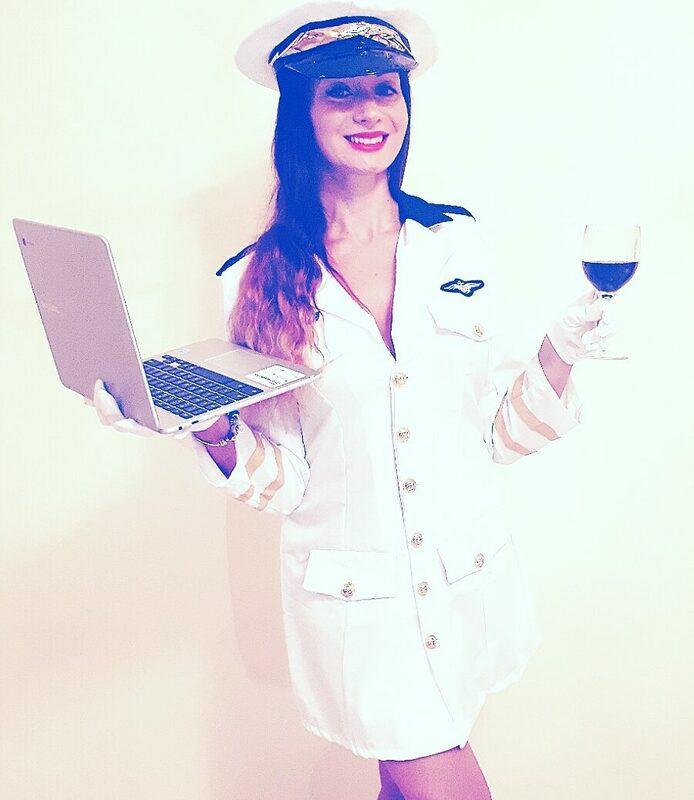 Think of certain European countries like France and Italy where they have the DOC and their own regulations for wine in different regions and standards they need to follow and meet. In 2002, New Zealand’s Felton Road 1997 Pino Noir was declared one of the top 3 wines during a bling wine tasting. Their Syrah and Chardonnay, follow in their uniqueness and great taste. A brand that is extremely well known around the world is Kim Crawford wines, especially the white ones, as Chardonnay and Sauvignon Blac are extreely popular and exquisite due to the versatility of their grapes. Their top quality Chardonnay can npw be found in every region. I urge you to go and try some New Zealand wines and assure you, that you won’t be disappointed! I raise a glass to you. Cheers!